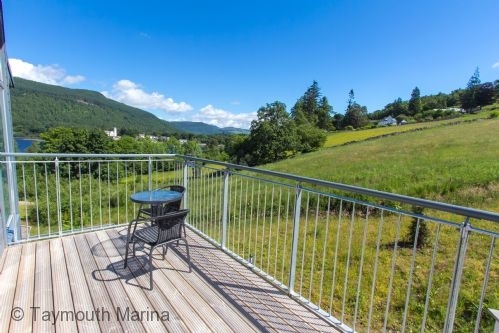 A Luxury Holiday house in a fabulous scenic spot on the tranquil south shore of Loch Tay, offering magnificent views of the loch and highland scenery. 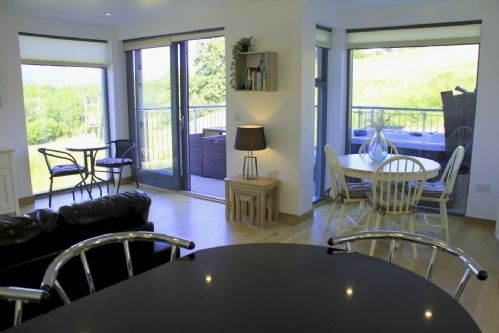 The house provides spacious family accommodation over two floors with modern contemporary furnishing to the highest of standards. 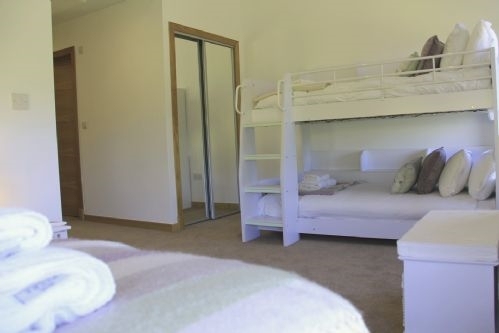 The large open plan lounge with sofa bed, adjoins a spacious dining area and modern fully fitted kitchen; upstairs there is the master bedroom with en suite and a Triple room with Bunk beds and one single bed toghether with en suite. 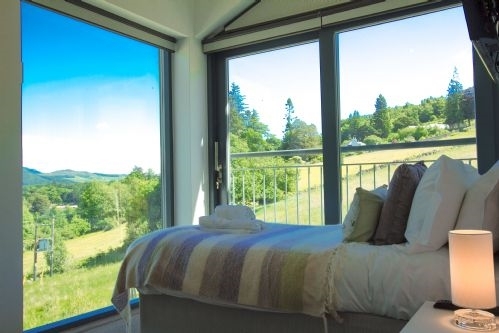 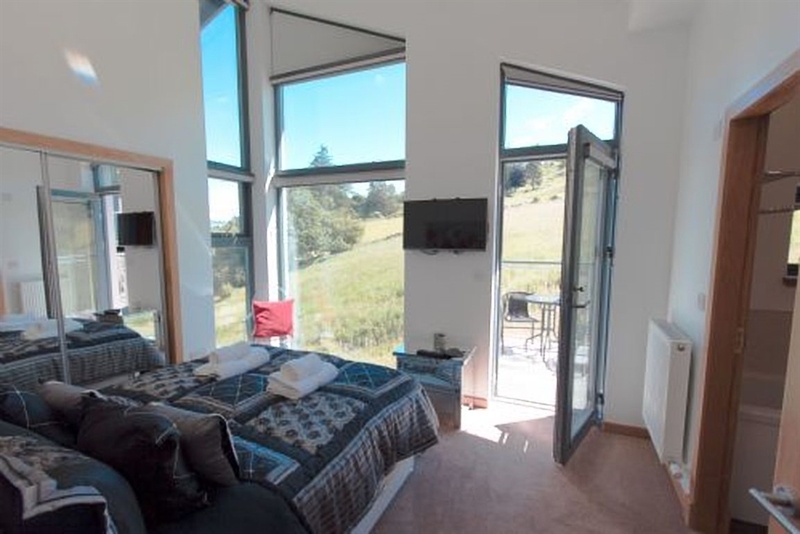 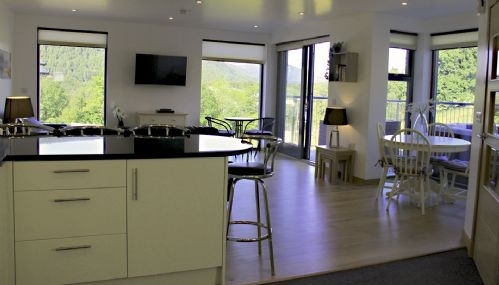 A private Balcony leads from the sitting room and provides views from the hot tub down to the loch. 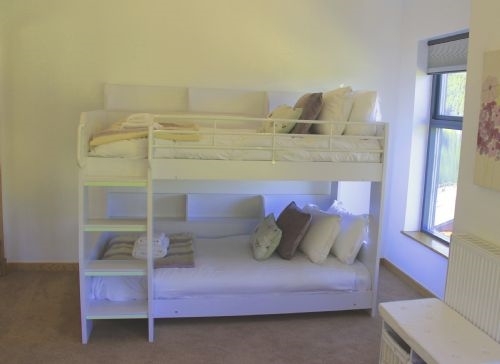 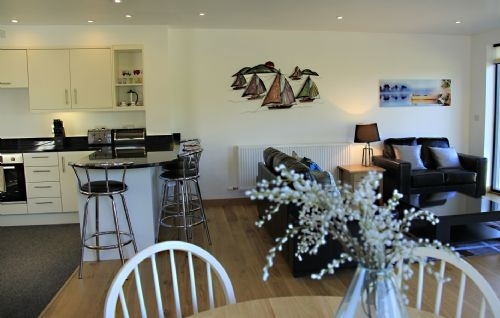 The house sleeps up to 7 people making it perfect for a weekend away with family or friends. 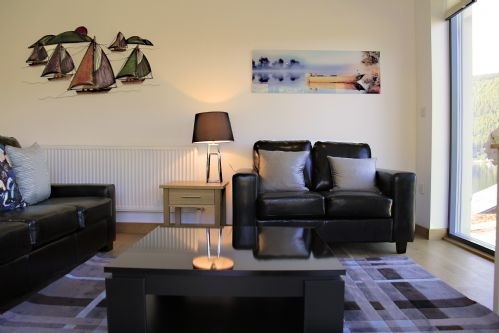 Accommodation for 7 on two floors: Ground floor with spacious open plan sitting room/dining area and fully fitted Kitchen, double sofa bed in sitting area; Bathroom with shower over bath; utility room; Balcony with Hot Tub off sitting room. 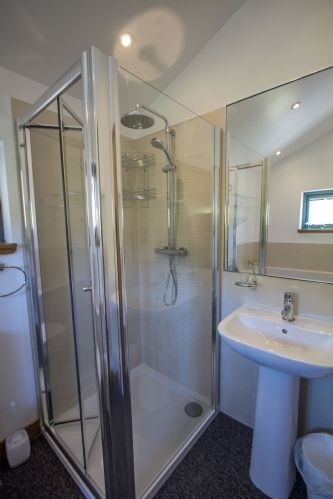 Services: Central heating & electricity included * Bed Linen and towels * Dishwasher* Washing machine * Tumble Drier * Fridge/Freezer * TV*DVD* Balcony with Hot Tub* Parking * Bicycle storage *Pets welcome.